On Labor day, the Home of the Biggest Blockbuster Movies will launch its newest outdoor cinema event! 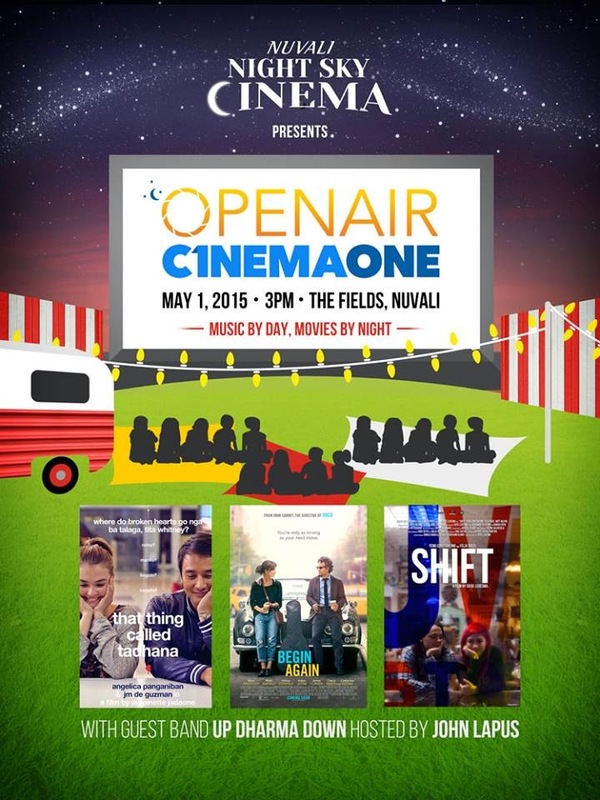 In partnership with NUVALI NIGHT SKY CINEMA, we bring you OPEN AIR CINEMA ONE - Music by day, Movies by night on MAY 1, 3PM at THE FIELDS, NUVALI! Hosted by John Lapus plus a special performance by UP DHARMA DOWN! Movie Review: That Thing Called Tadhana - The Ultimate Hugot Movie of the Year! It's a Labor day Family getaway! See you there!! !